Do you normally check the time for multiple cities around the world? Are you tired of converting the time difference between cities? 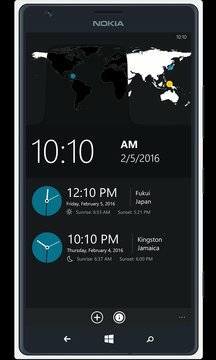 World Clock Pro™-Time Zones app can help you organize your favorite cities onto one page so that you can easily find out the correct local time, as well as get the most relevant time zone information about the city.